Cholesterol is a lipid or fat that is produced by the liver in your body. Every body cell in your body has an outer layer of cholesterol. It is very essential for your normal body function. Some of the most common foods that you take like diary products, meat and eggs have cholesterol in them. It is important for the body to prepare cholesterol as it helps in proper body function. When there is too much of intake of cholesterol in the body, then it starts to cause a lot of health problems as it produces plaque on the body’s arteries and narrow the space for the blood to flow to the heart. If cholesterol levels are not controlled, it will start to harden the arteries which will thereby lead to heart diseases. 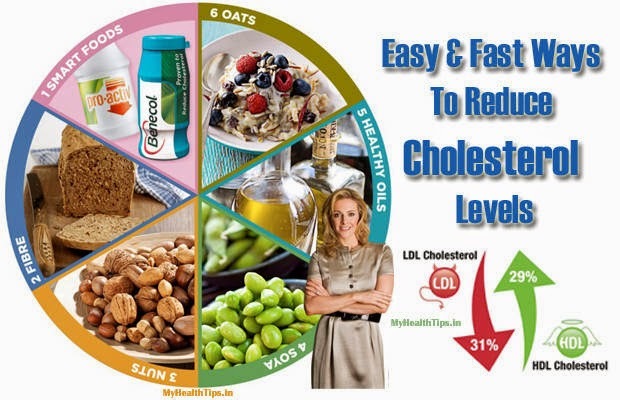 The following are the few factors that lead to increase in the cholesterol level in your body. • Sedentary lifestyle which is devoid of any exercise. Spending most of the time sitting or lying down results in increase of bad cholesterol in your body. • Eating a diet that is rich in saturated fat and cholesterol will increase the cholesterol in your body to unimaginable proportions. • Cholesterol levels tend to increase as you age. It is ideal for you to take a lipid profile test once you attain 40 years of age to determine your cholesterol levels. • Poor control of diabetes will result in increase of cholesterol levels. • Smoking and consumption of alcohol regularly will result in increase of bad cholesterol levels. • Giddiness that is more frequent. • Pain in your back and shoulders. • Atherosclerosis or buildup of plaque along the artery walls. • Leg pain while exercising or walking. • Blood clot in the brain that might cause hemorrhage or stroke. • Narrowing of the coronary arteries in the heart causes angina. There are many home remedies that you need to follow to reduce the high cholesterol levels in your body. If you are overweight or obese, then you can be pretty sure that you will suffer from high cholesterol levels sometime in your life. It is ideal for you to lower your weight to reduce cholesterol levels in your body. • Set long term and sustainable goals to reduce your weight and you will see a huge difference in your cholesterol levels after three to four months. 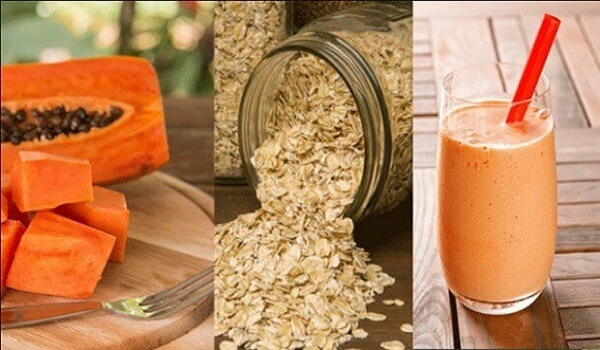 Oats are filled with beta-glucans that will help in lowering the cholesterol levels naturally. • Add oats in your regular meal every day and make sure that you do not consume any processed oats to enjoy its maximum health benefits. More than the apple fruit, it is the apple peels that will help in lowering the cholesterol by slowing the oxidation of bad LDL cholesterol and prevent from plaque buildup. • Eat at least one or two apples a day with its skin to lower cholesterol levels. • Make sure that buy organic apples as its peel will work better than normal apples. Green tea is found to be very effective in balancing high cholesterol levels and it has antioxidants and has the power to lower low-density lipoprotein. • If you are a coffee lover, switch to green tea to see effective results. • Drink at least two to three cups of green tea to see good results in three to four months. It is ideal for you to lower the intake of white products and include more of whole grains in your diet. • Replace white bread, normal pasta and white rice with whole grain and brown breads, whole wheat pasta and brown rice respectively to see visible results in two to three months. Most of the fruits and vegetables are rich in fiber and are ideal in lowering the bad cholesterol levels in your body. • It is ideal for you to substitute one meal of the day preferably in the evening to a complete fruit and vegetable diet that includes greens, artichoke, cabbage, cauliflower, carrots, apples, oranges, black grapes and so on. It is ideal for you to take heart friendly fishes to reduce the bad cholesterol levels in your body and to improve good cholesterol levels. • Mackerel, sardines, herring and salmon are rich in omega 3 fatty acids and will help in improving the health of your heart. • Fishes like cod, tuna and halibut have less total fat, cholesterol and saturated fat than meat and poultry and try to substitute your red meat with heart friendly fishes. It is ideal for you to replace your cooking oil or butter with olive oil as it just has monounsaturated fats that will help in lowering LDL cholesterol. • Add olive oil in your home made salad dressing to keep the bad cholesterol in check. • Use one to two teaspoons of olive oil while cooking food daily instead of your regular cooking oil. Honey has a lot of natural properties and also helps in improving HDL cholesterol levels in your body which in turn reduces your total cholesterol levels. • Add honey instead of sugar or glucose to your green tea to improve the good HDL cholesterol levels in your body. • Exercise for about 30 to 45 minutes every day to stay fit and to reduce your cholesterol levels and fat deposits in your body. • Walking, jogging, swimming, playing tennis, shuttle badminton, soccer will all help in reducing cholesterol levels. Are you having high LDL bad cholesterol levels? Do you want to know a few tips on how to reduce cholesterol levels in your body easily? Go through the above mentioned tips and see if these tips can help you to reduce cholesterol levels in your body.